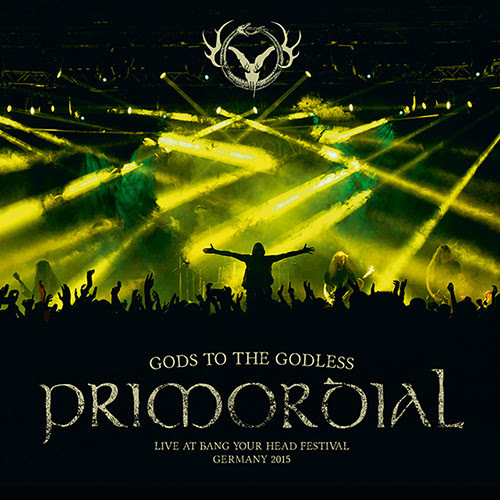 Irish Pagan Metallers PRIMORDIAL have announced the release of the first live album in the bands history. 'Gods To The Godless (Live At BYH 2015)' will see the light of day November, 25th and will be released as a limited Digibook-CD and 2-Gatefold-LP! 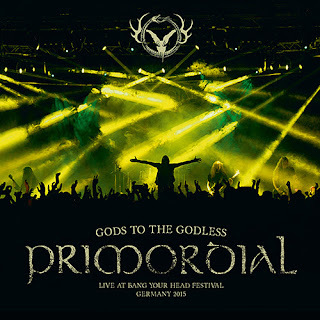 Listen now to the title track 'Gods To The Godless' and check out the pre-order section at metalblade.com/primordial/ There is a bundle with an exclusive T-shirt design available! Says A.A. Nemtheanga of PRIMORDIAL: "It might seem like an unusual move, a double live album. Especially within the scene we are from but the live album was once a staple of most bands career and something we all grew up with in our collection. Pouring over tour dates, gear information and killer live pics. Ok so it's not 'Live After Death' but you can see the attraction and taste the romance involved, right? Fact is though we hadn't planned it, it was basically a happy coincidence, the good people at Bang Your head who took such a risk booking us the first time on a more traditional old school rock festival had us back for the fourth time, gave us a proper headlining set length and happened to mention afterwards that they had a mobile recording device rigged up and ready to go. When we listened back to the tapes we found something we could work with and the idea take shape. If you love the band you will know what to expect, blood, guts and passion and believe us the double vinyl will look beautiful! 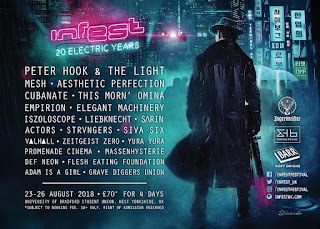 If we've been in your orbit but you've never trained your sights on us properly this might be a good place to start as the sound is massive, the old songs have some added muscle and the planets aligned to make 'Gods to the Godless' perhaps a great introduction to the band. From our side, it felt like something important to do, like taking advantage of an opportunity to make not only a stand alone album in it's own right but also add something rich to the heritage and tapestry of metal that once hinged on the live album, the tradition reached back into the 70s and 80s and we are proud to have our own small place in that pantheon! And for the record...not one single over dub. This is truly Live and Dangerous..."